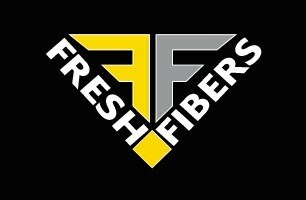 Fresh Fibers Carpet Cleaning - Cleaning Services based in Chadderton, Lancashire. Not all carpet, sofa and floor care companies are equal!So far we have served over 2000 local satisfied customers - And never had to give a single refund. Extensive investment, training and chemistry has given us a unique proposition in our field - One where we feel we can really put a smile on our customers faces by delivering outstanding results, with the safest methods and taking the utmost care in your home or business. We move and replace furniture: Your carpets are usually ready to use instantly and if not we will provide covers for your feet and furniture to make sure your world isn't on pause. Transparent Pricing - We won't give you a 'cheap price' to get in the door: Unfortunately, there are unscrupulous cleaners in our industry advertising a cheap price that doubles or even triples once they arrive to complete the work to the standard advertised. Any price or estimate we will give you will either be the final amount, or a higher over the phone estimate based on completing the work to the correct industry standard our reputation has been built on. Fast drying - Our high tech machinery means carpets and sofas that are dry in a few hours MAX! Gone are the days of waiting days, or having odours develop after cleaning. No Shrinkage or Discolouration Despite the extreme temperatures our process uses, this causes absolutely no damage, wear or shrinkage, Only too much water can cause shrinkage and movement, and only the wrong chemistry can cause bleaching, browning or colour loss. If I get my carpets cleaned will they get dirty again fast? This isn't an old wives tale! Usually found with companies who use electric plug in machines or DIY equipment, detergents left behind in your carpet can cause rapid resoiling. These chemicals are left behind by equipment that doesn't have the power to rinse them out, or by unscrupulous cleaners looking to generate fast repeat custom for themselves after charging a suspiciously low price to win a job. Our process leaves your carpet clean, fresh and chemical free. Will cleaning kill the germs and dust mites? Our machinery is engine driven and can easily generate temperatures of 90 Degrees celsius at the surface we are cleaning meaning we can kill the germs, bacteria and dust mites giving you clean fresh carpets that stay cleaner for much longer. We also offer a specialist Hospital grade clean which goes even further for allergy sufferers or Bio hazards. Your carpet will collect a variety of soils over time and cling onto them until removed. With every step, you kick loose soil into the air. Skin, pet dander, dust mites, food particles, and micro-organisms are some of the soils that can be dispersed and they all represent a breathing risk. If you can find another provider that give you a deeper clean or better results then we will give you your money back!